“All the possibilities of your human destiny are asleep in your soul. You are here to realise and honour these possibilities…. Possibility is the secret heart of time.” John O’Donahue. “There is in every organism, at whatever level, an underlying flow of movement toward constructive fulfilment of its inherent possibilities.” Carl Rogers, Counsellor. 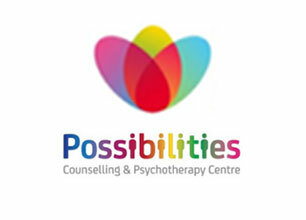 Possibilities consists of a leading group of highly experienced and specialist psychotherapists (UKCP registered) dedicated to providing affordable, high-quality, independent professional psychotherapy and counselling for the people of Aberdeen and Aberdeenshire and around the world. Feel better: improve your emotional well-being. Relate Better: improve your relationship with yourself and others, your social well-being, and your relationship with your purpose and possibilities. 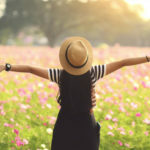 Live better: your body, heart, mind and soul are wired to connect, harmonise and live with more meaning and purpose for a better life, and, ultimately, for the better world all our hearts desire. As Possibilities psychotherapists, we like to think of ourselves as adventurers exploring the frontiers of human possibility. Wonder, imagination, inter-connection, collaboration, compassion, relationship, whole-heartedness, meaning, mystery, daring greatly, plus human growth and possibility are our leading concerns. “When we heal ourselves, we heal the world.” Mark Nepo, Philosopher. Despite all the suffering, our life force is consistently encouraging us to evolve toward kinder and more fulfilling lives, and to build more loving, curious relationships with ourselves, each other and with the nature and mysteries of the world and universe. We help you deal with the obstacles that often get in the way of you living well. This is part of our purpose. “The life I touch for good or ill will touch another life, and that in turn another, until who knows where the trembling stops or in what far place or time my touch will be felt. Our lives are linked together.” Frederick Buechner, Writer. “The old world is over. The revolution has begun. So we have two choices now: create a revolution of love, or endure a revolution of fear.” Marianne Williamson, Writer. “I am not what happened to me. I am what I choose to become.” Carl Gustav Jung, Psychoanalyst. “We are not human-beings but rather human-becomings.” John Shotter. Professor of Psychology and Communication. Best outcomes for you because we use combinations of the most effective evidence-based therapies available and are constantly striving to improve the service offered. We provide you with the best knowledge, support and skills you require to move things forward. “If you say I’m great, thank you very much. But I know what I am. I could be better, man, you know?” Keith Richards, Rolling Stones. Very experienced and caring therapists for you because all our psychotherapists have a minimum of 5 years post-graduate and post-qualifying experience. For example, each of our psychotherapists has clocked up between 10,000 to 40,000 therapy hours, mainly in the NHS and independent practice. Our therapists are also hand-picked in terms of levels of compassion, friendliness and proven effectiveness. “The greatest carver does the least cutting.” Lao-Tzu. Strong relationships for you because our relationship with you is of the highest importance to us. The therapeutic relationship is the soil that enables the therapy to grow and blossom for your benefit. “May I see in all who suffer only the fellow human-being.” Oath of Maimonides. Strength-based, non-pathologising, appreciative therapy approaches for you because the way we do things matters to us. Rather than focus on something being ‘wrong’ with you, we view your struggles in the context of what has happened to you, your circumstances and the life events you’ve encountered. We then help you develop new skills and build on your strengths, resources and potential. Short-term and collaborative-focused therapy for you because by targeting your concerns and tracking progress, we help you reclaim your life and you sooner rather than later. Enhanced therapies, enhance you because one type of therapy never fits all people, we personalise and tailor therapeutic approaches to your specific needs and circumstances. All the therapies we offer are enhanced with other approaches and the magic of the ‘psychology of possibility’. Small changes, big results. Convenience and comfort for you because we offer appointments on weekdays between 9.00 am to 9.00 pm at a central location in Aberdeen with therapy offices especially designed for your comfort. Leading specialist psychotherapists for you because, just like some professional musicians are much better than others and anyone can strum a guitar but few can actually play it well, it is the same with psychotherapists and counsellors; some are much more skilful, caring and effective than others. Research clearly shows that the therapeutic model used eg Cognitive Behavioural Therapy (CBT) is NOT as important, in terms of good outcomes, as the skills, personal qualities and abilities of individual therapists. Therefore, it is these and other factors, not so much the therapy used that greatly enhances the effectiveness of any therapeutic approach, leading to better outcomes for you. Best ‘conscientiously sourced’ research and up-to-date therapy methods for you because at Possibilities, we love and are inspired by our mission to provide the best therapies for you, we’re constantly up-dating, curating, learning and integrating the most ground-breaking developments, ‘non-corrupted’ research, the most effective therapies, cutting-edge techniques and methods for your benefit. In terms of non-corrupted research, you need to be aware that many research findings in psychology and medicine are highly questionable because the research is not replicable, the integrity of the research is compromised by widespread manipulations and misuses of statistics, flawed self-report measures, researcher bias, vested and competing conflicts of interest, funding issues, short-termism, publication bias and potential researcher career advancement bias and many more issues. Even so-called ‘gold’ standard randomised controlled trials are often riddled with methodology flaws and fail to meet the highest scientific standards required for public safety. The British Medical Journal provides a research vetting service and estimates that only 6% of research papers (only 3,000 of 50,000) were well designed and relevant enough to inform patient care. There are frequent over-inflated ‘out of context’ research claims. 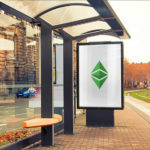 Richard Horton, editor-in-chief of the Lancet, the UK’s leading medical journal says: “The case against science is straightforward, much of the scientific literature, perhaps half, may simply be untrue. Science has taken a turn toward darkness.” (2015, April 15th Edition). Therefore, the whole issue of what we can take from research findings is a minefield for all of us and requires very careful consideration. High quality standards and ethics for you because we abide by a professional code of ethics, professional registration and participate in regular supervision and continuous professional development to ensure the provision of highly effective and ethical services for you. Also, because we offer a high standard of therapy, we do not use volunteer, non-qualified, non-registered counsellors or therapists. “I don’t care about science, it is morality that counts.” Louis de Bernieres, Writer. Human possibilities vastly exceed our imagination. Our mental, physical, emotional, spiritual and relational aspects are inter-connected, inter-dependent and inter-active. We all share the potential to love, learn, feel, create and to become who we are. We explore these as potentials and possibilities. We celebrate unity in diversity. Possibilities is dedicated to recognising, honouring and nurturing the dignity and uniqueness of all people and all life. People as multi-storied relational multi-beings: complex ecosystems within ecosystems. Contextual and embodied understandings of complex systems. Rather than viewing us all as alienated, disconnected and separated individuals, we can consider that if “everything emerges from the process of relationship…… then the possibilities for what we can build together become enormously optimistic” Kenneth Gergen, Professor of Psychology. Our future viability and life on the planet may depend upon it. The healing of suffering begins with combining compassionate collaborative relationships, communicating possibilities and generating ethical and relational well-being. These are the platforms that greatly enhance the therapies we offer at Possibilities. “Plant yourself where you know you can bloom.” Joan Chittister, Theologian. “Think lightly of yourself and think deeply of the world.” Miyamoto Musashi, Philosopher and Swordsman. Feel better, Relate Better and Live Better with Possibilities Counselling and Psychotherapy Services.